When traveling to a new location, choosing from the vast array of dining options can be daunting. Here in Galena, Illinois, culinary delights span the globe from American Steakhouse to Japanese Sushi, from Italian classics to Mexican favorites. Most visitors traveling to Galena stay for at least 2 nights and 3 days. Fortunately, there are more than enough dining options in Galena to never repeat even after several days! Below, we’ve suggested some of our favorite restaurants around. Take a look at these excellent places to eat in Galena, IL! Even after a multi-course breakfast, it’s amazing how fast you can build up an appetite shopping on Main Street in Galena! Lunch is a real treat since Main Street in Galena offers many fine choices. For a deli-style sandwich, soup, or salad, stop at Embe Eatery & Lounge, where the talented staff make their own pulled chicken, coleslaw, soups, and bread pudding from scratch. The menu offers regular and sensible portions which makes Embe a great place for a late-night snack as well. When you pair it with any of their vast selection of craft beers or a martini concoction from the full bar, a lunch here is a wonderful start to an afternoon of seeing the sights on Main Street, Galena. Another great lunch option is Gobby’s Sports Pub & Eatery. With a Chicago Mobster theme and Chicago-style pizza and sandwiches, this is a definite crowd-pleaser. Most meals begin with their classic bottomless salad bowl and a basket of beer nuggets—these can be addictive! Enjoy a cocktail and a burger from their Monster Burger menu, complete with a variety of fries. Gobby’s is the best place to watch your favorite sporting event, thanks to the large TVs throughout the bar and dining room. During the summer months, a table at their outdoor beer garden can’t be beat for atmosphere. Tell them Farmers Guest House sent you! Dinner is the main event on Main Street after a full day of shopping, outdoor fun, and taking in the historic sites. For dinner, Log Cabin Steakhouse is a favorite of locals and visitors alike; a terrific steakhouse owned by a local Greek family. Reminiscent of a Wisconsin supper club from years past, this restaurant is consistently the “go-to” place when guests want a great steak. The kitchen realm at Log Cabin is ruled over by a highly skilled grillmaster and their beef comes from Allen Brothers in Chicago. They do most of their own butchering right on site to ensure each steak, chop or filet is just right. Fritz and Frites is a combination of German and French cuisine, Paris bistro style. It’s also another local favorite. Fritz and his wife make everything from scratch, in house. Their Baked French Onion Soup is the best you will ever have. Once in the door, you feel transported to France, where the world slows down and where enjoying a perfectly prepared dinner is your only concern. With an excellent wine list and daily specials, Fritz and Frites is a delight not to be missed when visiting Galena. The Goldmoor offers an exceptional dining experience with a spectacular view. A short drive from Farmers Guest House, the Goldmoor overlooks the Mississippi River and serves a fabulous Beef Wellington among their fine choices. Every table has a window view and every season enjoys the splendor of the mighty Mississippi as you dine. Vinny Vanucchi’s offers old world Italian classics in an authentic atmosphere. A trip to Vinny’s feeds the craving for garlic bread and pasta just like Grandma used to make. With a large menu of old-world favorites and family recipes, Vinny’s has something for everyone—Bon Appetit! 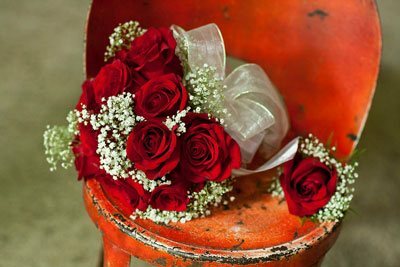 One-eleven Main Street has an historic Galena decor and a local, comfort food menu featuring locally sourced dishes. The daily specials are always a good bet and sourced from local farmers. Rumored as being haunted, the only true spirits are the ones served at the beautiful wood bar, where you can enjoy a cocktail and watch the action on Main Street through the windows spanning the front of this historic building. For ethnic fare, check out Campeche for homemade Mexican food. Named after their hometown in Mexico, this local family enjoys preparing the recipes handed down through the generations. Little Tokyo provides an option for sushi and Japanese cuisine while boasting the same tradition of family classics. 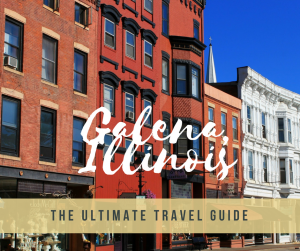 With over 40 eating and drinking establishments, you can’t go wrong with a trip to Galena, Illinois! 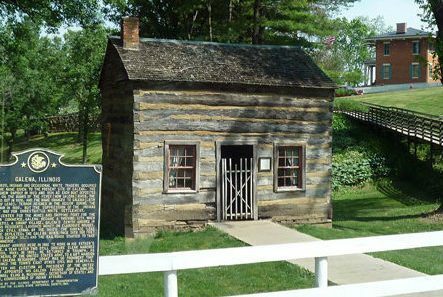 Complete your foray into the food of Galena by staying at Farmers Guest House! Not only are we within walking distance of all but one of these restaurants, but a stay here is an experience in dining all its own. Any stay at Farmers Guest House includes the best breakfast in Galena, Illinois. 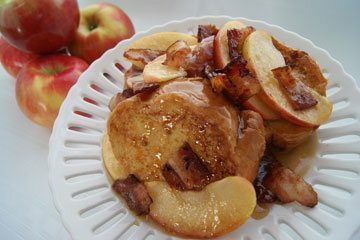 Begin your day with fresh fruit, warm muffins or coffee cake right out of the oven, a savory egg dish with locally made sausage or French toast with thick cut bacon. And, of course, freshly roasted coffee, Twinings™ large leaf tea, juice selections, and champagne for Mimosas! Every morning during our breakfast hour, we follow-up with guests to be sure they enjoyed their choice of dining venues from the night before. 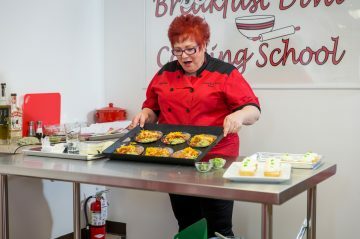 Our very own Breakfast Diva, Susan, prepares everything from scratch with creativity and flair. You may have seen Susan on Food Network’s Holiday Baking Championship where she won both a preheat and an episode with her original baked treats. 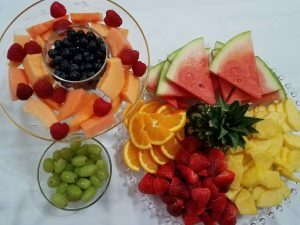 Susan can also accommodate Gluten Free requests and other allergies so that every guest enjoys a tasty and satisfying breakfast. There is also a social wine hour every day. One of the best parts of the 5 p.m. WineTime here at Farmers Guest House is the opportunity to share with guests our insight into the local Galena food scene. 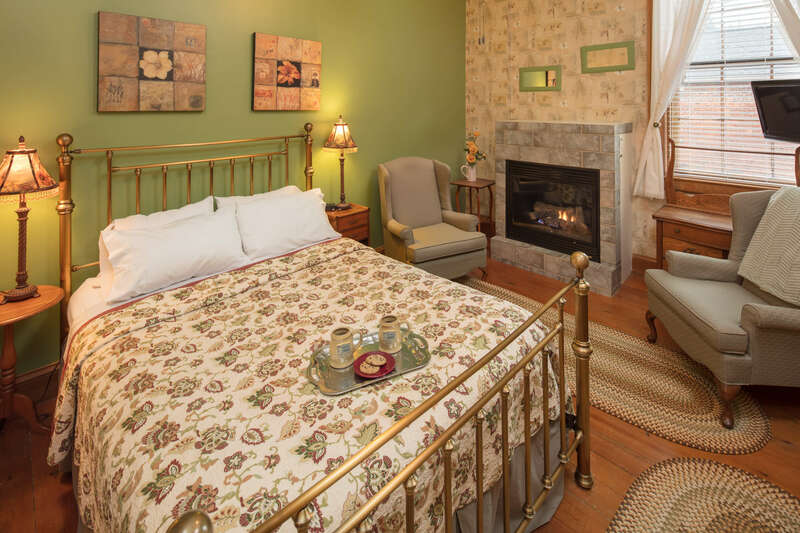 You won’t find a better place to stay during your vacation in Galena. Be sure to take a look at all of our elegant accommodations and book your stay at Farmers Guest House today!